The most important issue on the table for the upcoming inter-Korean summit is, without a doubt, the denuclearization of the Korean Peninsula. Bringing that into focus are Washington and Pyongyang's so-called "barter conditions." The U.S. is calling for what's been dubbed CVID: the complete, verifiable, and irreversible denuclearization of North Korea. In return, North Korea will most likely demand CVIG: a complete, verifiable, irreversible guarantee of the regime's survival. In this scenario, actual denuclearization hinges on several factors. "The most important factor is North Korea's intent to denuclearize. Because if they bring up unrealistic demands like the complete withdrawal of U.S. forces from the Korean Peninsula, which they know is impossible, it would be hard to reach an understanding." And speaking of withdrawing U.S. forces, experts say North Korea will most likely propose a "package deal" that includes a security guarantee along with an economic guarantee such as a softening of sanctions on the regime and economic aid. "The most sensitive is, of course, the withdrawal of U.S. forces. But there is a possible compromising point because in 2007, Kim Jong-il accepted the U.S. stationing in South Korea. The defensive nature of the joint military exercises is acceptable to them." "The softening of sanctions is quite possible as long as the regime also shows progress in denuclearization. And as for economic aid -- this is also quite feasible through the UN or through the U.S. normalizing its relations with North Korea." The last but certainly not least factor is whether Washington and Pyongyang will be able to coordinate the method of denuclearization. "North Korea thinks there should be a step-by-step process, but on the other hand the U.S. wants to make the denuclearization very quickly without so many steps." Experts predict, however, that President Trump would see no quick or easy way forward and would put forward a more realistic suggestion. "I think some other measures I think President Trump would propose,for example, giving a specific time period during which denuclearization should be achieved." The expert predicts this would be sometime in 2020, around the time of the next U.S. presidential election, in which Trump would be running. There are many factors that could affect the possibility of denuclearization of the Korean peninsula. 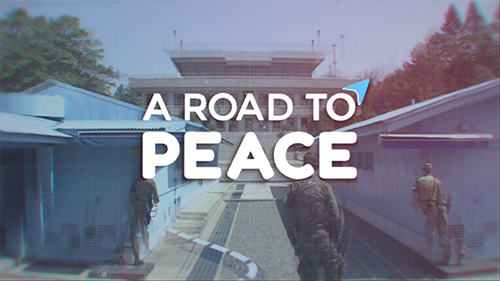 But it all comes down to the leaders of the U.S. and North Korea coming to an agreement, with South Korea's president Moon Jae-in playing the role of mediator in the upcoming summits.